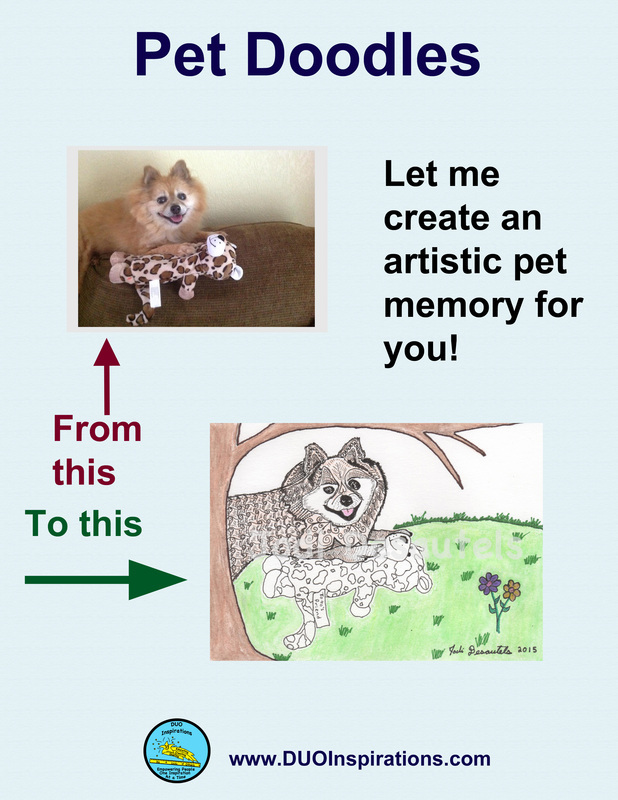 Pet doodles are custom and creative images based upon a photo that you provide. They are a wonderful way to showcase your animal friend in an elegant and artistic way. Please contact me for more information. Thank you. This pet doodle was commissioned and created based upon the photo above as seen in the poster. It was done based upon what the pet owner gave as preferences. Let me create one for YOU!